CLOWN to Be Appearing Soon! 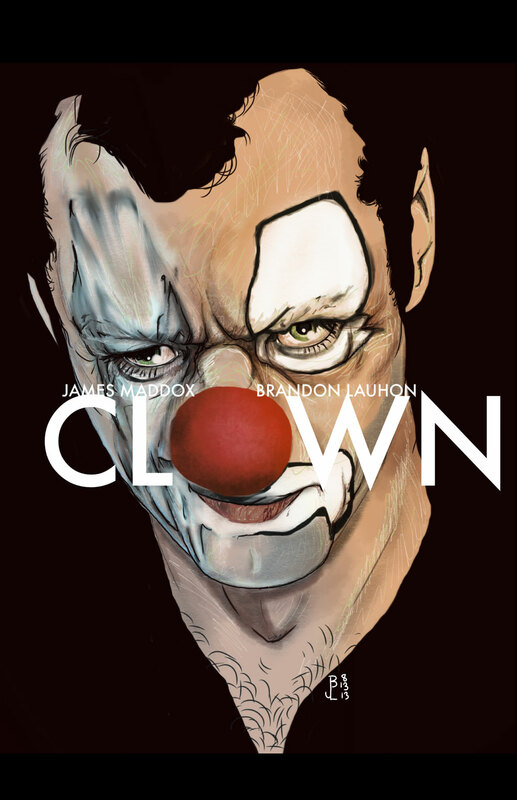 Both myself and Brandon Lauhon are very excited to offer up our new 28-page short story CLOWN as a free weekly release right here at JamesMaddox.net. The first installment will be posted this Friday! Until then, check out the awesome cover art for this tale!